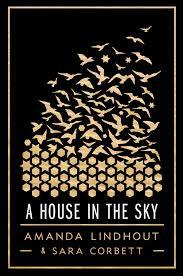 A House in the Sky by Amanda Lindhout. Nonfiction. The author’s curiosity and desire to understand the world resulted in travels to the world’s most beautiful, remote, and, eventually, dangerous places. She was kidnapped and held captive in Somalia for 460 days. This is the tale of her harrowing experience and what she learned – about Islam, suffering, forgiveness, and grace. Oh, good. If you like nonfiction about other cultures and religions, you should like it. Even if you didn’t tell me, it was an unnecessary comment, now that I think about it. Duh you like that stuff!